DFTZ will provide physical and virtual zones to facilitate SMEs to capitalise on the convergence of exponential growth of the Internet economy and cross-border eCommerce activities. It will act as a microcosm to support internet companies to trade goods, provide services, innovate and co-create solutions. 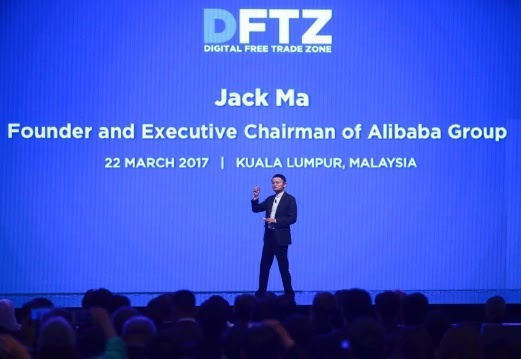 Dato' Sri Mohd Najib Tun Abdul Razak, the Prime Minister of Malaysia, together with Jack Ma, founder and Executive Chairman of Alibaba Group, launched the world's first Digital Free Trade Zone (DFTZ ) today. DFTZ will provide physical and virtual zones to facilitate SMEs to capitalise on the convergence of exponential growth of the Internet economy and cross-border eCommerce activities. It will act as a microcosm to support internet companies to trade goods, provide services, innovate and co-create solutions. DFTZ will be a boost to Malaysia's eCommerce roadmap that was introduced in 2016. which aims to double the nation's eCommerce growth and increase the GDP contribution to RM211 billion (approximately US$47.68 billion) by year 2020. "Malaysians have embraced the internet economy and eCommerce in a big way. We are now leading the eCommerce market in the region generating revenue of US$2.3 billion in 2015. With the launch of the world's first Digital Free Trade Zone, Malaysia will serve as a regional eFulfillment center, and also become the regional hub for SMEs, marketplaces and monobrands," said Dato' Sri Mohd Najib Tun Abdul Razak, the Prime Minister of Malaysia. Dato's Sri Najib added, "Both DFTZ and Electronic World Trade Platform (eWTP), the brainchild of Jack Ma, have one common goal. We want to help SMEs overcome the complex regulations, processes and barriers, and eventually further encourage businesses and traders to connect and collaborate in cross-border trading". MDEC and Alibaba Group for strategic collaboration in the development of DFTZ in Malaysia consistent with the objective of the Electronic World Trade Platform (eWTP); and the development of a Regional Hub for eCommerce business, trade facilitation, SME onboarding, cloud services for enterprises and an eFulfillment and logistics hub. Malaysia Airports Holding Berhad and Cainiao Network for the development of a regional eCommerce and Logistics Hub in KLIA Aeropolis as part of the Digital Free Trade Zone Initiative. Alipay and Maybank / Alipay and CIMB for the collaboration in launching Alipay barcode payment in Malaysia. This partnership will enable mainland Chinese tourists to make payment using their favourite payment method - their Alipay e-wallet. For Malaysian merchants, this will give them exposure to the vast China market. MDEC and Catcha Group for the collaboration for the establishment for Kuala Lumpur Internet City (KLIC). DFTZ consists of three main components that combine both physical and virtual zones. The physical zone comprises of the eFulfillment Hub and Satellite Services Hub while the virtual zone consists of the eServices Platform. DFTZ has the potential to double the growth rate of Malaysian SME's goods export by 2025. It is also estimated to support US$65 billion worth of goods moving through DFTZ. Additionally, DFTZ is expected to create 60,000 direct and indirect jobs by 2025. "DFTZ is a testament to Malaysia's unwavering commitment to propel the growth of SMEs through eCommerce. It also marks a new phase of collaboration between Malaysian and Chinese businesses through the participation of Mr. Ma and Alibaba Group. I strongly believe that together, we can achieve a more prosperous economic landscape that benefits the industry and people," Dato' Sri Najib commented. "The eWTP or Electronic World Trade Platform should be driven by businesses and supported by governments. If we can build an inclusive platform for businesses and young people to trade and do business freely, openly and fairly, this will be fundamental to the world economy over the next 20 to 30 years and for the century," said Jack Ma, Founder and Executive Chairman of Alibaba Group. DFTZ's implementation of physical and virtual zones will be done in phases, The first eFulfillment Hub will be centred at KLIA Aeropolis. KLIA Aeropolis development is centered on the key clusters of air cargo and logistics, aerospace and aviation. 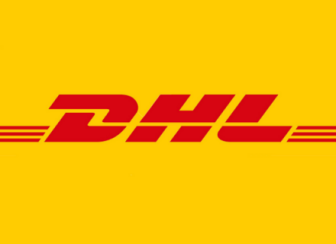 The initial phase will be rolled out before the end of 2017 by Alibaba, Cainiao, Lazada and POS Malaysia, leading to the formal launch of Alibaba's facility at the end of 2019. The other physical component of the DFTZ is the Satellite Services Hub, to be located in Bandar Malaysia. Kuala Lumpur Internet City (KLIC) will be the first satellite services hub of DFTZ and will be developed by another strategic partner, Catcha Group, Southeast Asia's leading internet group. KLIC is set to be the premier digital hub for global and local internet-related companies targeting Southeast Asia It will comprise of key players within the internet ecosystem to facilitate end-to-end support, networking and knowledge-sharing that will drive innovation in the internet economy and the eCommerce industry. "Catch Group is proud to be a strategic partner of DFTZ, supporting Malaysia's plan to propel the growth of the country's internet economy. We are excited to be developing KLIC, bringing all the key eCommerce players and internet companies within the close proximity of each other to create a premier digital hub. Our vision for KLIC is to be the ASEAN headquarter for global internet MNC's, regional leaders and aspiring entrepreneurs in the internet ecosystem," said Patrick Grove, Co-Founder and Group CEO of Catcha Group. The virtual zone, which is the E-Services Platform, will be made available in time to support the goods movement within DFTZ. The e-Services platform will also offer integrated services that will help deliver a streamlined and efficient experience to the users operating from the DFTZ. Further expansions of DFTZ are also planned for beyond 2019.